With the fall quarter underway, your course curriculum has most likely been implemented. However, if you are still trying to squeeze in another week’s reading assignment but you do not want your students to have to purchase another text, think about using an ebook. 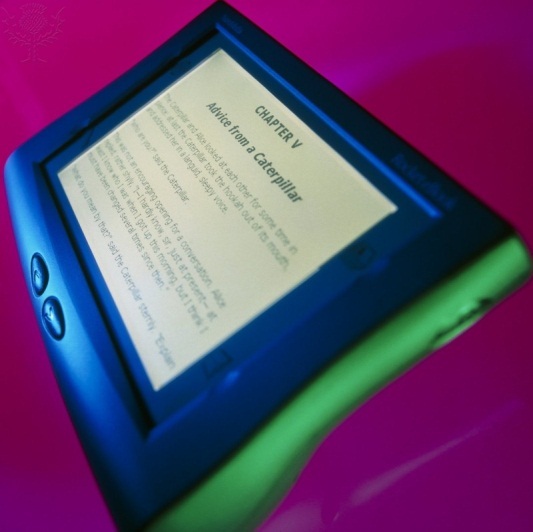 Ebooks and its vendors are certainly monopolizing today’s market. Successful companies such as Amazon, Barnes & Noble, Google, and Apple are some of the top names when browsing ebooks. In fact, in 2011 Amazon made the announcement that they sold more ebooks than “p-books” (a combination of hard cover books and paperbacks), according to an article by Nancy Herther in the July/August 2011 edition of Searcher: The Magazine for Database Professionals. Furthermore, more writers are self-publishing their books through e-bookstores and then marketing through social media, rather than going through the traditional publishers. As a result of the vast collection of ebooks available, this means more resources that are more readily accessible to our students. With that being said, the Bellevue University Library subscribes to multiple ebook vendors, which are all freely available through the Bellevue University Library webpage. Some of the vendors include: Books 24x7, ebooks on EBSCOhost, ebrary, and PsycBooks, to name just a few. Some of these ebooks can be checked out virtually for up to one week or downloaded to your personal computer. Therefore, if you assign your class to review a specific ebook, students can conveniently download it on their tablet or computer for free - without having to go to the bookstore or library to locate it! Furthermore, there are many websites that have freely available ebooks, including electronic textbooks. One website that specifically focuses on textbooks is Flat World Knowledge. This company publishes textbooks under a Creative Commons license that allows faculty to use the textbook as is, or create a derivative work to more closely relate to the course syllabus. That is right, instructors can personalize the textbooks by rearranging the material, adding resources, or make any necessary edits and then students can then access these eTextbooks for free! Another eTextbook site is Textbook Revolution, which was developed by students to prevent other students from having to pay for expensive texts. This site links to freely accessible eTextbooks as well as other educational material. As the rise of ebooks advances, it is only appropriate that we move forward on the innovative information highway. Additionally, we may as well be knowledgeable about these available resources by using them. Therefore, please take advantage of the Bellevue University Library’s convenient ebook collections as well some of the other websites freely available on the web. With the money and time that the student will save from going to the bookstore, that will only increase the positive attitude of getting something for free and increase the time to spend on the course assignment! This is truly a win-win situation for all! Herther, N.K. (2011). Ebooks Everywhere. Searcher: The Magazine for Database Professionals, July/August, (22-31).